Product DetailsName:belts for menStrap Material: 100% cow genuine leather Buckle Material:alloyStrap buckle element:male genuine leather strapStrap buckle:pin buckleBelt Size Strap Length:XXS-100cm(39INCH), XS-105cm(41INCH), S-110cm(43INCH), M-115cm(45INCH), L-120cm(47INCH), XL-125 cm(49INCH), XXL 130cm(51INCH), 3XL-140cm(55INCH), 4XL-150cm(59INCH)Belt Width:3.7 cmBuckle Width:5.0cmBuckle Length:7.0cmColor: CoffeeStyle: fashionSuitable: menExquisite craftFeatures:Upper and Out-soleLINXX BUCKLE – Is the new INNOVATIVE EFFORTLESS SOLUTION. Just lift the buckle to obtain an inaudible release! Extremely easy to use! Slide belt in to tighten and the belt auto locks – simple smooth and sleek.NO MORE HOLES – fashion ratchet belt provides 38 unique adjustments for an extremely comfortable fit. 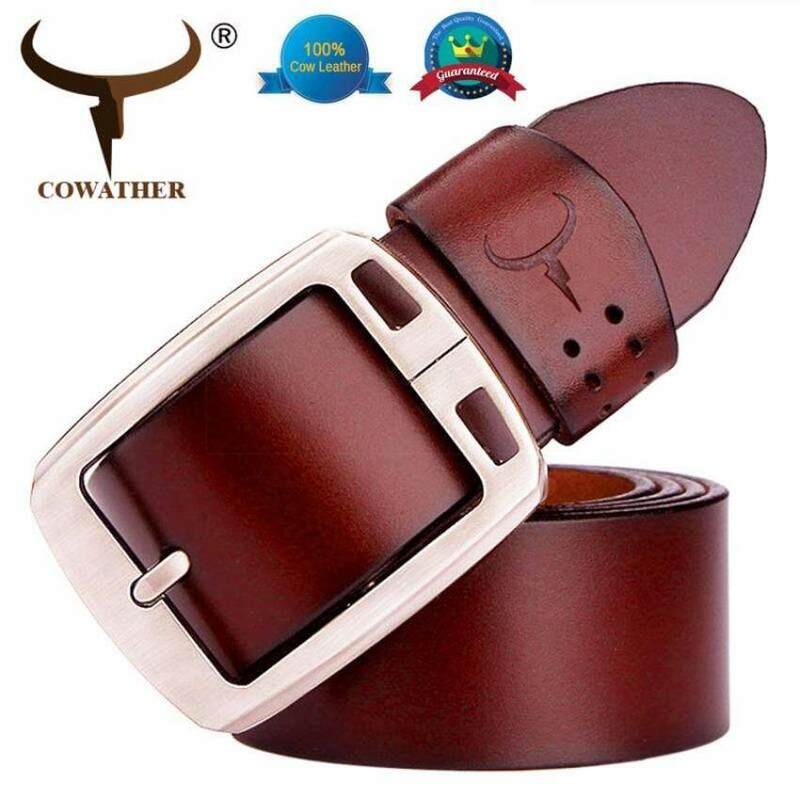 Leather belts for men features an easy removable buckle that allows you to cut the belt to your ideal size to give a primmer appearance!MAXIMUM DURABILITY – Leather strap is a bit wider than 1-1/3″ presenting the perfect look of a fine genuine leather quality dress belt, complemented with an HIGHLY FASHIONABLE stylish buckle that is elegantly designed with class. Scratch resistant buckles are made to last.PERFECT CUTTING LEATHER STRAP BELT – Leather strap is no stitching on strap and perfectly keep nature cutting state on belt.Warm tips:1. Astheshootinglight,angleandcolordisplays,objectsandphotos maybesome differences! Please kind prevail.2. Due to manual measurement,maybe there is 1-2cmtolerance. Hope your understanding!